Some of the most breathtaking scenery Tennessee has to offer lies within our state parks. This year marks the 75th anniversary of the Tennessee State Parks system, and to celebrate this milestone, The Tennessee Magazine and the parks system are teaming up to host the first-ever State Parks Shutterbug Photography Contest. The theme, “Celebrating 75 Years of State Parks,” will give you plenty of room to be creative. Subjects could range from scenic vistas full of wildlife to hikers enjoying the solitude of a backcountry hike. In fact, any photograph taken inside a Tennessee state park, state historic park, state archeological park or state natural area can be entered as long as you follow the rules. Photographers shouldn’t have a shortage of subjects. No matter where you are in Tennessee, you are less than an hour from a state park. Photographs will be judged on sharpness, composition, lighting, creativity and adherence to the contest rules. Print quality will also be taken into consideration. 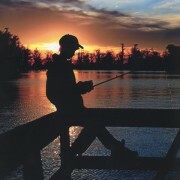 The winning images will be published in the June 2012 issue of The Tennessee Magazine. Note: By entering the contest, photographers automatically give The Tennessee Magazine and Tennessee State Parks permission to publish the winning images in print and digital publications and on websites. The contest is open to amateur photographers only. If you earn your living as a photographer, please refrain from entering. Photographs must have been taken at one of Tennessee’s state parks. Visit www.tnstateparks.com for a complete list or call 1-888-867-2757 for a free brochure. A photographer can enter no more than three photographs in any category. There is no cost to enter. A completed entry form (below) must be attached to the back of every photograph entered. Omitting any of this information may result in disqualification. Extensive digital manipulation of photographs is prohibited. The use of photo-editing software should be limited. Adjusting exposure, color balance, contrast and sharpness is allowable, but highly manipulating colors and content of images is not. Employees of the Tennessee Department of Environment and Conservation and Tennessee’s electric cooperatives and their immediate families are not eligible to win. Please include the name of each recognizable person in your photograph. It is the photographer’s responsibility to have the subject’s permission to enter his or her image into the contest. You must include the subject’s name and contact information with your submission. Omitting any of this information can result in disqualification. Media: Use any camera, film or digital; any film, black-and-white or color. Photographers and their subjects are expected to follow all rules and regulations posted by each state park. Noncompliance will result in disqualifications. These regulations include but are not limited to staying on marked trails, keeping dogs on leashes and wearing life jackets when required. All photographs must be entered as unmounted, 8-by-10-inch prints. Images can be color or black-and-white. Please don’t send your only print of a photo. Because of large numbers of entries, prints will not be returned. Send entries to: The Tennessee Magazine, State Parks Photo Contest, P.O. Box 100912, Nashville, TN, 37224. Entries may not be emailed or submitted via the tnelectric.org website. Entries must be postmarked by Friday, April 20. The rules state that you can have no more than 3 photos in any category. What are the categories? Or is it only one category-Tennessee State Parks for a total of only 3 photos? The categories are based on age. We have an 18 and over category and a Junior Shutterbug category for 17 and under. Are high dynamic range photos considered extensive digital manipulation ? Our general rule is that if it looks like the colors are overly saturated and that it was generated on a computer then, yes, it’s extensive digital manipulation. While HDR is a perfectly legitimate tool to create interpretive, fine-art images, our goal with this contest is to stay within the bounds of more traditional photography. Some basic manipulation of contrast, color balance and sharpening is allowed. What do you mean by ENTRY TITLE? Matt – Entry Title is the name that you assign to the photo. It could be something descriptive or something creative. Most titles are simple, like “Lake at sunset.” Hope this helps, and best of luck. Thanks- that’s what I thought but wanted to make sure. Would Dale Hallow Lake be considered a state natural area? Dale Hallow Lake is actually a Kentucky State Park, so it would unfortunately not be considered. I earn a little money from photography. Less than $500. Hardly a living since I have a full time job outside of photography. Am I still allowed to enter? Absolutely, Deb. We consider anyone making 10 percent or more of their income from photography to be a professional, so we would love to have you participate. Thanks for everyone’s interest in the Shutterbug Contest. We have received lots of questions about which state parks and natural areas can be used. Below is a list that we think will help. Is there a time frame for when the pictures need to be taken? I ask because I have several photos that were taken last year during my visits to several state parks. We are looking for recent photos, so I believe that something taken with in the last year would be considered. I checked the websites and didn’t see Cumberland Gap National Historical Park. Is it considered a Kentucky Park because of the visitor center on the Kentucky side? Cumberland Gap is in Tennessee and I always assumed that the park was a Tennessee park. Would it be considered for the contest? It is in Tennessee, but it is a national park and not a state park. We are partnering with Tennessee State Parks on this contest, so we are looking for submissions from their parks. I hope this helps. Where can I find a list of state parks and their locations? I am an avid photographer. I have photos on display and for sale at the Reniissance Center in Dickson. I’haven’t sold any and have never made any money on photography. I don’t consider my self a professional can I enter? Hey, Don. We consider anyone making 10 percent or more of their income from photography to be a professional, so we would love to have you enter. The entry form does not open or print correctly. Is there another link for it? Thank you Trent Scott. Answering the questions that we have on this contest was very helpful for me, I do not have further questions. Trent, i’m having trouble getting the entry form to pull up so i can print it. Can you help? How old can the photo be? I should be a recent photo. Anything taken within the last year will be acceptable. Would pictures in/of shiloh be acceptable? A list of acceptable parks and natural areas are below. I am unable to open the entry form. Is there a way to get one? Hello, I am having trouble getting the entry form. Do I need to register first before I am able to print a form? I’m having difficulty getting the entry form to open on my screen, so I can’t print it. Is there another way to get an entry form? Has anyone else had problems opening and printing the entry form? Trent, I downloaded the entry form from the link you provided. It is still just printing a solid black box where the entry form is suppose to be. Do you have any suggestions? Is anyone else still having this problem. Thanks! Thanks so much for making the Entry Form printable! No. That is not a problem. I do alot of photography but I don’t make a living off of it, and I have my own facebook page and it has KaylaSchoenPhotography or KSP on the bottom of the images. Does this need to be removed when summitted in the contest? We consider anyone making 10 percent or more of their income from photography to be a professional. If you make less than 10 percent on photography, we would love to have you enter. It would be better to leave your watermark or brand off the photos you submit. When will we be notified of the results? The results will be featured in the June issue of The Tennessee Magazine. Will the winners not be notified before the photographs appear in the June issue? 1. How many entries are generally made for a contest like this? 2. Is this a yearly contest or “Celebrating 75 years of TN State parks” only. 3. When will we know results? This is a contest the magazine typically does at least once a year, sometimes more. The number of entries depends on the topic, but we usually see between 500 and 1,000 entries. Can 3 entries be submitted in the same envelope? When will the winners be notified. Have photos been judged? How will we know results? We have received tons of entries. Thanks to everyone who participated. The judges were in the office last week, and the winners will be featured in the June issue of The Tennessee Magazine. Best of luck! Where can I see the entries…I went to the web sit http://www.tnelectric.org but could not find other photos. There is a lot of interest in the June issue because of the shutterbug contest results. We hope to have the digital version of the magazine posted today and photos from all finalists are uploading now. We will share the link when everything is available. We love our passionate photographers! You can view the winners of the 2012 Tennessee State Park Shutterbug Photography Contest at http://tnelectric.org/2012/05/31/2012-shutterbug-winners-announced/. where is the address to send pictures too ? Full contest rules are available at tnmagazine.org.